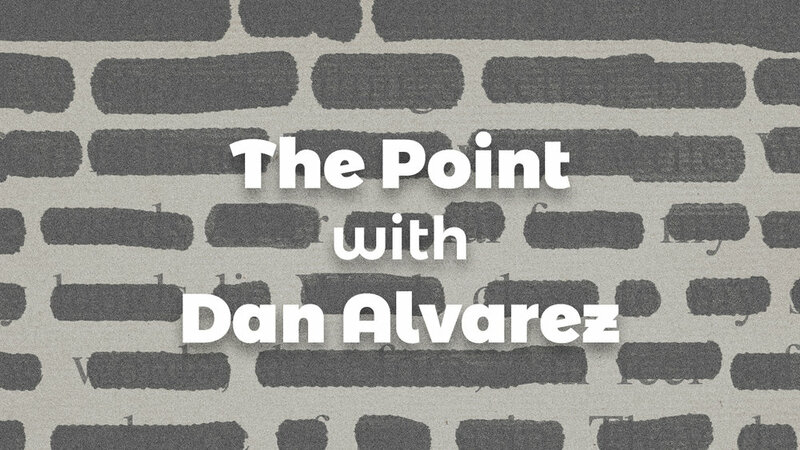 Dan Alvarez is one of the most creative people I know. He's one of those people that the rest of us peasants envy because on a whim he can come up with a concept so startingly original it makes you want to dive in. On top of that, he's genuinely a great dude, always helpful and eager to serve. I'm excited for his chance to share a little bit with you guys. I'm Dan, a Canadian writer. My education and day job are with computer science/programming, but writing has always been a hobby of mine. Unlike other writers, I don't think I'd aim to make it my sole job; money isn't everything, but it is necessary, and not all authors can end up making enough money to suit their needs. I like programming, and I like my other hobbies - TV, movies, reading, drumming, drawing, painting, video games (the usual suspects). When I do write though, I tend to write poetry (I love trying to create beautiful language, and layered metaphors and symbolism), short stories (often dramas, sometimes fantasy/sci-fi), and recently graphic novels (dramas, superheroes - I love the additional visual element I can play around with, like adding subtle visual motifs). The main thing is that I love to come up with story ideas. There are worlds or events I can imagine, and I love weaving them together, layering in symbolism and meanings, and coming up with twists and turns or grand characters or worlds. I'm always inspired by great art, whether it be books or TV or plays: things that can move you, wow you. One reason why I wrote poetry for a long time was not that I was inspired by poets, but because I was inspired by musicians (poets of a different sort). Most of the music I listen to has great, meaningful, powerful lyrics. I love that ability to project emotion, and it's something I don't know if I ever truly accomplished in my writing, but something I always think about. I love writing, and I want to write pieces that make people smile, or laugh, or be impressed (that may be considered selfish, but it's nice to hear positive feedback). It all has to start with an idea. I rarely ever start with a "point" - I rarely think, "This piece will be a reflection of our society", or, "This piece will explore themes of love and loss.". For me, my mind wanders at various times, and I'll start to think of a deep conversation between people, or a superhero with an interesting power, etc. Once I have that, I tend to mull on it for awhile, not necessarily to flesh it out into a story, but just to enjoy it within my own head. When I'm really excited about the idea and I think I actually want to write a story around it, I need to figure out what that story is. It's easy to come up with a premise, but in the end, you do need a point - why are you telling this story? What's the start, middle, and end? And the point can just be purely for entertainment. I wrote a short story called Tuk-Tuk the Merciless which was just a silly premise: an old warrior god who is bound to a young girl and has to do what she says. Before I wrote it, I knew I just wanted it to be fun. I envisioned some interesting scenes and interactions, and that's it. As I wrote it, the story unfolded (I often just go straight into writing with only my somewhat-fleshed-out mental planning). As I wrote, I decided to name characters based on Greek gods, and layer in some themes of religion, which led me to move the story to be about a potential loss of life, and thus add in another element of rebirth and spring. So a "point" came out later, but at the start, it was just about fun. This is different from a series of short stories I'm writing called Tales from the City, where each piece starts from an imaginary conversation in my head, and there is more of a goal to have it have a "point" or lesson. As an audience, we often think of media as either "intellectual" or "just for fun". I don't know if I do a good job of blending the two, but Tales from the City and Tuk-Tuk are examples of that. My graphic novel, "The Hellfire Verdict", is kind of a mix: I started with a "fun" idea, and as it grew and became a full project, it got "dark" and "real", and layered with references and archetypes, so it's kind of fun and intellectual at the same time. As a non-technical resource, reading and taking in other media (music, film, theatre, etc) really helps you grow. You don't have to explicitly meditate on what you liked and didn't like, but it will seep its way into your consciousness and style. Reviews, beta readers, feedback is also really important for this. People will catch your technical/grammatical errors, but also bring their own idea to pacing, believability, confusion, point out plot holes, etc. For me it's dedication. While I love writing, it's a hobby, so it's not something I feel compelled to do every single day. However, because of that, it can be hard to keep myself going. When I enter a contest now or then, that deadline helps me, but if there's no deadline, it's easy to just let projects sit. I also constantly come up with new ideas, which means it's just another item I want to try to write. What I'm trying to do now is dedicate my time to my hobbies: rather than just write whenever, I want to try to mark down a week or two where that will be my goal. Once I start into writing it's fun, but sometimes just that starting process can easily be procrastinated. Come up with interesting ideas or concepts. I may not always be able to come up with great stories surrounding those ideas, but normally I do. So you're working on a graphic novel, that seems so daunting to me, what's that like? Writing a graphic novel is nothing at all like writing poetry, short stories, or novels. Although I've never done it, it's probably very similar to writing for film, TV, or theatre. You don't just plan out chapters and scenes within that chapter, you plot out each visual shot, although that depends on how you want to approach the project. When Stan Lee was writing oodles of comics concurrently in his prime, he wrote in a style that is now known as the Marvel Style: he would write prose, instructions, telling the artist what happened on each page. The artist would then figure out how many panels that should take up, what the angles would be in each panel, etc. Nowadays though, the writer plots out the action within each panel and tells the artist what happens within each one - like a director. The artist, of course, can make changes, because the writer may have overestimated how much room there was for the actions and words, or the artist may have a style idea, etc, but this is something the writer has to think about as well. You can't just have your character do a large speech and then also do an explosion and then also reveal a new character and then also have a revelation all on the same page. It was just my best guess on how much dialogue I could put in each page, but I think, based on the finished pages we've done so far, I did well. Another issue is pacing. If you're writing a book, or a poem, you often don't need to care how many words or pages it is (unless you're entering a contest or something with rules on that). A standard single comic issue though is 20-25 pages, somewhere in that range. So, there is room to play around there, but you can't just go on and on, you need to be aware of that length. As such, you should be plotting out what each page is going to be doing for you. In addition, for me, as I'm the one paying the artist, I need to think about page count for costing purposes, and to think how big a scale a project it would be for an artist. When I first started this project, as is my M.O., I just dove in and started to write the beginning as I had mulled it over in my mind. Once I got further in, it was sort of trial and error to figure out what was going on each page. This graphic novel I wrote is 4 chapters, 20 pages each, so by the time I got closer to the end chapters I started to write out a quick outline for each page as a way to pace, and figure out story elements/plot. So it was a very unique challenge, but one thing I loved is that you can be more subtle. For example, one character is standing underneath a "NORTH EXIT" sign, and if you wanted to pay attention, you'd realize each of the other 3 main characters are standing at different sides of the room, meaning one is on the north side, one the east, south, and west side. When it came time to place them, I decided to layer in a reason for where they would be. Looking at the Greek gods of the wind, there is one for the north/east/south/west, and they have personalities or stories that match my characters, so that dictated where they stand. There's another part where there are two bright lamps and they create bookend panels around someone's face, and it's meant to be an allusion to car headlights, as that comes in later in the story, so it's nice that it's subtle without me having to write it and force it into the reader's face. You're a programmer, I've heard it said that programming is like the intersection of language studies and math. Have you found that to be true? What overlaps between programming and writing have you experienced? It's funny, I often tell people that programming is an art form. Think of a classic art form: painting. You start with a blank canvas, and the experienced painter has tools like brushes, paints, knives, and techniques like how to lighten a paint, how to add perspective lines, how to paint a flower, etc. A dozen artists could be told to paint the same thing, perhaps even told which tools to use, but their style, experience, and techniques will differ and each create a different result. Programming is the same way. Even if we use the same tool (like a programming language), the way we structure our code, comment it, name things, etc, are all different. There are definitely people at my work whose style I immediately can recognize. As you said, and as I mentioned, there's a language component as well. People often ask me, "So, what exactly is programming?". What it is, is a series of commands that you tell the computer to follow. You have to think in terms of abstract logic, and in terms of basic commands that create complex functions. Here's an analogy: I can tell someone, go to the store and buy eggs. It's a simple command, but it is the culmination of many other tasks. One task involves dressing oneself for the weather outside, one task involves knowing how to drive, one task involves knowing where the store is and how to get there, one task involves knowing how to purchase items, etc. Even just knowing how to dress for the weather can be broken down further. Eventually, you end up with some basic task of knowing breathing and knowing English. In programming, it's the same thing. At the smallest level, computers just know how to move data from one part of memory to another. At a slightly higher scope, they know how to add. From adding, you can create subtracting, multiplication, and division. From that, you can create the universe. When you write, you know basic grammar, and basic story tropes, and character archetypes, etc: from that, you can create anything. When I stare at a blank page (or a blank monitor), there are more possibilities than can be truly comprehended. How will I attack a problem? How will I structure it? Structure and order are extremely important in programming. As I mull over a story, the outline immediately forms in my head: perhaps, as I reflect upon it, that's why I never write an outline (but also because I've never done so large a project that requires one). The two halves of my brain, to put it that way, definitely mesh together. I don't know if it comes out in my writing, but it definitely comes out in the writing process. Have fun, and be realistic with yourself about your writing goals. If you want to write as a living, you will have to realize that there is hard work involved. Not only in outlining, drafting, revisions, editing, but in marketing, publisher querying, maintaining an online presence, etc. Don't think that just because writing a few stories is fun that it will be easy. If you want to write as a hobby, carve out time for it, enjoy it. Understand it is work, and it is a skill that will improve with time, but let your passion come forward. If you want your writing to be just for you, then try your best to grow through reading, watching films, etc, and reflect on what makes a good story and good writing. If you want others to enjoy your writing, realize that can be daunting to have someone ask you to read a large book or even a short poem, especially in a "now-now-now" society. But, do your best to put yourself out there, have the confidence to ask your friends and family to read your work, and have fun when they enjoy it. And understand that there will be criticism. You should try to be humble, but there's nothing wrong with a healthy discussion about the work and the advice being given. My advice for advice is to try to understand the point of view of the person and the advice they're giving, take it in, think about it, and keep what you like after seriously considering it. Dan is incredibly talented, and I love to hear his process and musings about the craft and creativity, how about you? You can find some of his works and more information on his website, mrdanalvarez.com. He's also active on Twitter, @mrdanalvarez. He's currently working on finishing his debut graphic novel, The Hellfire Verdict. He's hoping to publish in 2018 both digitally and physically, so if you'd like to keep up with that progress, catch up with him on Twitter, and under #HellfireVerdict.